Jerry Jenkins is a friend of mine. How about that? Is there a better name to drop in the world of Christian literature? And he really is my friend. 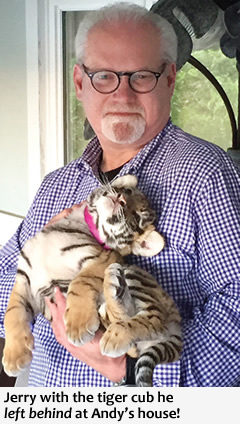 I mean, the man has played with a tiger cub at my house! You probably know him as the prolific author of 186 books — most notably the <em>Left Behind</em> series — but in the Andrews house, we know him as Dianna’s husband! 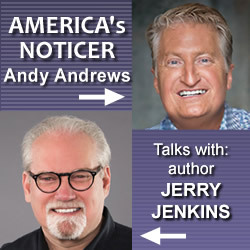 ANDY ANDREWS: Jerry! I think you need to send me a tiger picture from last May when you and Dianna were in Orange Beach. Now that I’ve mentioned it, there might be a “prove it” contingent. JERRY JENKINS: Will do! Any more animals at your place? ANDY: No, but Polly might say “yes” and name the boys and me. (Laughing) Hey, I really enjoyed your last book, The Matheny Manifesto, and got to wondering … What was your first book? JERRY: I wrote Sammy Tippit: God’s Love in Action in 1973 when I was 23 years old. Sammy had been arrested in Chicago for sharing his faith in front of strip joints — ostensibly hurting the businesses. While awaiting trial (he was acquitted), Sammy camped out in front of the civic center with a wood cross and preached to anyone who would listen. Far from being the kook he might have been mistaken for, he proved to be a brilliant, articulate man, sold out to Christ. He was only 25 and Sammy and I remain friends to this day, a pair of senior citizen grandfathers. I’ve served on his board for decades, he preaches in stadiums around the world, and he remains my spiritual hero. ANDY: What might surprise us that is on your bookshelf? JERRY: A first edition of To Kill a Mockingbird, a gift from my most successful writing protégé, Chris Fabry. He asked me to teach him to write. We eventually wrote more than 50 books together and he is now an award-winning novelist on his own. ANDY: That is very cool. Actually, Polly had breakfast with Harper Lee in Monroeville several years ago and so the first edition of To Kill a Mockingbird on our bookshelf is signed. By Harper Lee. To my wife. And she wrote “Best wishes.” I’m just sayin’. ANDY: Yeah. And sorry, but I couldn’t help myself. It’s hard for me, you know? Having a buddy like you who has written 186 books that have sold over 70 million copies when I have written a book and a half and sold 32 from the trunk of my car! I needed to have something on you! (Jerry laughs hysterically) Anyway, let me be serious here before someone decides I can’t write this either! What is your favorite book that you have written? ANDY: OK, that’s funny. In fact, let me ask this: What’s the funniest comment you’ve heard someone make about the Left Behind series? And maybe they didn’t mean for it to be funny — which would be the best! ANDY: Ha! That is awesome! What are you reading right now? JERRY: I’m reading The Message New Testament through in a year. I just finished The Top of His Game: The Best Sports Writing of W.C. Heinz, and I’m reading The Neon Rain, a novel by James Lee Burke. ANDY: If you could have a 60-second conversation with your 18-year-old self, what would you say? ANDY: Great answer. Great advice. Now to close, here are a few quick ones: Favorite television show of all time? JERRY: I don’t think I’ve missed a Saturday Night Live. JERRY: I’d say The Sixth Sense. ANDY: And your favorite team? JERRY: I’m a diehard Cubs fan, but having written a book with the manager of the St. Louis Cardinals, Mike Matheny, I find I can actually pull for the Cards — yes, even against my Cubbies — this year. That’s probably a temporary affliction in the interest of book sales. How shallow can a guy get? ANDY: (Laughing) I think you can be forgiven for this year’s lapse. Thanks so much, Jerry. 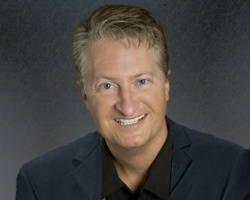 Andy is the author of New York Times bestsellers 'The Noticer' and 'The Traveler’s Gift'. 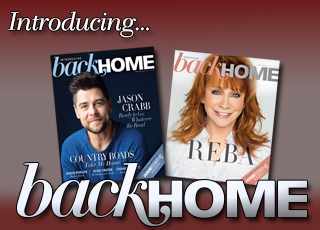 He lives in Orange Beach, Ala., with his wife Polly and their two sons.